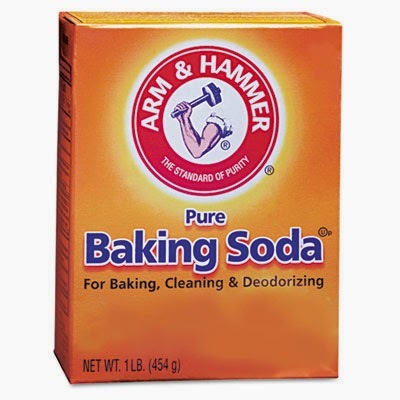 Because of its unique cleaning properties, baking soda can be used occasionally to "clarify" hair and eliminate buildup from commercial shampoos and conditioners. A little experimentation will show whether baking soda works for you as a regular method of hair care or as an occasional treatment. Sodium bicarbonate is the formal name for what is commonly known as baking soda, bread soda, cooking soda or bicarbonate of soda. 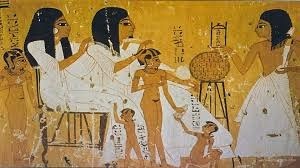 Its use goes all the way back to the ancient Egyptians, who used a mixture consisting mostly of sodium carbonate decahydrate and sodium bicarbonate as a powerful cleansing agent. Baking soda can be used to clarify the hair when mixed with water, shampoo or conditioner. A baking soda hair wash cleans out excess product, removes impurities and cleans your hair better than many expensive products on the market. It is also used for absorbing oils and is therefore ideal when used as a dry shampoo to remove the oily substance the skin secretes to keep skin and hair moisturized. - Leave the mixture in the hair for about three to five minutes and rinse. This can be done once a month to help remove any buildup from hair products and to clarify the hair. - Brush or comb through to distribute the powder evenly. - Soak them in a sink filled with warm water, with 1/2 cup of baking soda and 1/2 cup of bleach. Baking soda is a strong alkali with a pH of 9.0 on average. High-alkali products open up the cuticles of the hair and cause hair to absorb so much water that the shaft might weaken and or break. To counteract this, the treatment is best followed with an apple cider vinegar rinse to normalize the pH of the hair. The acid in apple cider vinegar will close the cuticles. 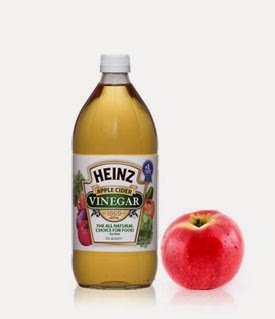 - Dilute 1 part apple cider vinegar with 4 parts water, and rinse the hair with the mixture. Baking Soda is also highly abrasive which makes it excellent for cleaning stoves and teeth, but it can be very harsh for the delicate protein in hair. For this reason, it is best used in small amounts and when well dissolved in plenty of water, shampoo or conditioner. Baking soda is an effective home remedy for acne and smoother skin. - Add about 1/2 teaspoon of baking soda to 1 teaspoon of water to form a paste that resembles toothpaste. - Make sure the mixture is not too thick or too diluted. Apply it on your dampened face in a circulation motion to exfoliate for a minute, and rinse your face with water. - Put a pinch of baking soda on your toothbrush after you have brushed your teeth. - Don’t do this more than two to three times a month. You can also sprinkle 1 tablespoon under your arms as a deodorant substitute. Please let me know if you have any other uses for Baking Soda! !